Chris Andreano provides an introduction to tendon pain. 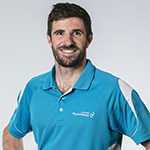 Chris Andreano: Hey everyone, this is Chris here from St. Leonards Physio. I wanted to talk today about tendons. And what a tendon does is it attaches a muscle to a bone. So that means it’s different from a ligament or a joint capsule or some of these other things you may have heard before. Now it helps to transfer the force of that muscle to the bone and allows this sort of joint to move. Now what’s, you know, people get tendon pain all the time and in the past it has been diagnosed as tendinitis. The name for it is changed now, it’s called tendinopathy, however, you know, it’s the same problem, it’s just got a different…a different label. Now the problems that commonly arrive in the body are the achilles tendon is one of the really frequent ones we see, particularly in runners but also in people doing a lot of walking and people on their feet a lot. Secondly, we see it in the shoulder a lot, rotator cuff tendon problems. The one the people aren’t aware is tennis elbow. So the pain on the top of the elbow with a lot hand use or sort manual workers will get that little sort of shifts as well. And the other two areas are in the hip, the gluteal tendon, and the patella tendon in the front. The thing with tendons is…they’re very tricky, they can be tricky to manage and the pain can be quite severe and disabling. So it’s really important to know where that tendon is at, you know, what the strength of the muscle is like in sort of relation to that tendon and how the mechanics of the body are working around that tendon as well. And I sort of want to do a series of videos on tendons and so there’ll be some follow up to this video. Just a few tricks and tips on how to sort of manage these problems and whether or not you do need to see physio for your tendon problem. Thanks guys.